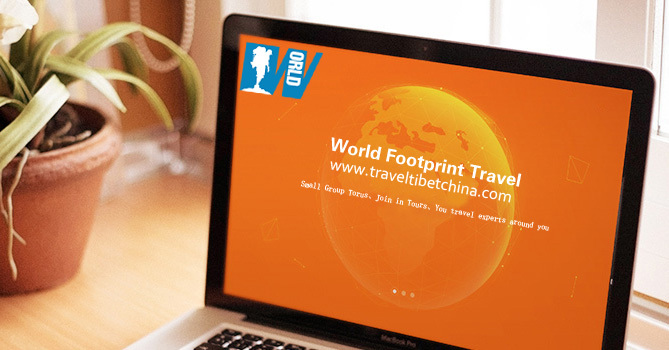 As part of the World Footprint Travel Company, Traveltibetchina.com provides global travel enthusiasts with on-line consulting and booking services in Tibet, western Sichuan, Xinjiang, Nepal and Bhutan. Traveltibetchina.com devotes to supplying you the most professional travel services. We have rich experience and efficient implementation ability to sincerely provide our customers with high quality service. Traveltibetchina.com inherits “Dedication, Devotion, Practicability and Innovation”, always adheres to corporate values of “integrity-based, striving for excellence”, provides conference reception, travel chartered, hotel reservation and other integrated tourism business to travel team and independent traveler who are on traveling, on business travel, on self-driving travel or on adventure in Sichuan, Qinghai, Silk Road, Tibet, Nepal, Bhutan and the surrounding areas, is a leading business travel online service provider in Tibet tourism industry. We integrate and use powerful supplier resources to provide diversified and customized high-end travel products for free traveler to Nepal and Bhutan surrounding areas, provides the most professional, most comprehensive and most intimate one-stop service to free travel lover. We give first priority to brand building, by constantly adjusting traveling routes, improving tourism products and integrating the characteristics of different tourists and consumer psychology, launched corresponding special tourist routes and personalized products for our customers. Providing stable and efficient services, solving the problems encountered and supplying the best solution to our customers is our core concept. Humanistic service concept, advanced management tools, favorable price and high-quality tourism routes will guide you travel the whole beautiful Tibet, Traveltibetchina.com warmly welcome all the tourists around the world to travel here! 3. Third, guarantee (we guarantee no forced shopping, no private tourist attraction). A non-worried trip needs a more professional service and professional team, let Traveltibetchina.com lead you chasing plateau footprint!